Tusker To Sign Kizito From Uganda – Kenyatta University TV (KUTV). All Rights Reserved. Tusker FC have moved swiftly to replace Singida United-bound Shaffik Batambuze with Ugandan international winger Keziron Kizito. 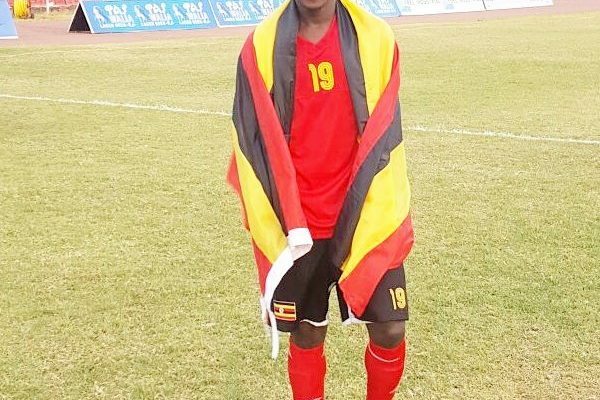 The 18-year-old has reportedly agreed to a three year contract with the brewers effective June 2017, ending his two-season spell at Wakiso town- based Vipers SC. The St Mary’s Kitende alumni has 20 caps for the Uganda Cranes. He won the 2015 Council of East and Central Africa Football Association (CECAFA) Senior Challenge title before representing the Cranes in the 2016 Africa Nations Championship (Chan). He will link up with fellow countrymen Hashim Sempala and Martin Kiiza who play for the 11-time champions. Apart from the Ugandan, the Ruaraka-based side have also been linked with Sofapaka winger Paul Odhiambo and AFC Leopards custodian Ian Otieno.